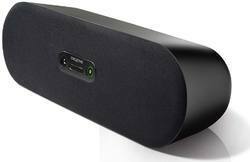 We are one of the emerging supplier of Creative Portable Speaker. - Actual battery life will vary with use, settings and environmental conditions. 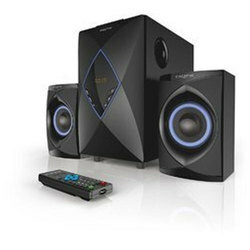 - Connect the Sound Blaster FRee to your PC or Mac via USB, and Sound Blaster FRee Control Panel must be installed. - Works with supported smartphones and mobile networks. Enjoy your favourite music on the go with the Creative SPS A120. It allows you to play songs from your laptop, Smartphone or tablet. We are one of the leading supplier of Creative Portable Speaker at our place. We are providing to our clients as per requirement Creative Portable Speaker. Our company is one of the well known supplier of Creative Portable Speaker. Our company is one of the leading supplier of Creative Portable Speaker. We are providing to our valuable customers / clients Creative Portable Speaker. We are one of the leading supplier of Creative Portable Speaker. We are offering to our customers Creative Portable Speaker. We are providing to our customers Creative Portable Speaker. We are one of the well known supplier of Creative Portable Speaker. We are able to supply Creative Portable Speaker. Our company is providing to our customers Creative Portable Speaker.